The highest point in Leamington, indeed Cambridge as a whole, the property bounded by Burns, Thompson, Goldsmith and Coleridge Streets – home now to the expanding green fields development Lauriston Park Retirement Village. This large Victorian villa on the hill in Leamington was built over the summer of 1901/02 by William Hogan for £842 for William and Mary Rout. 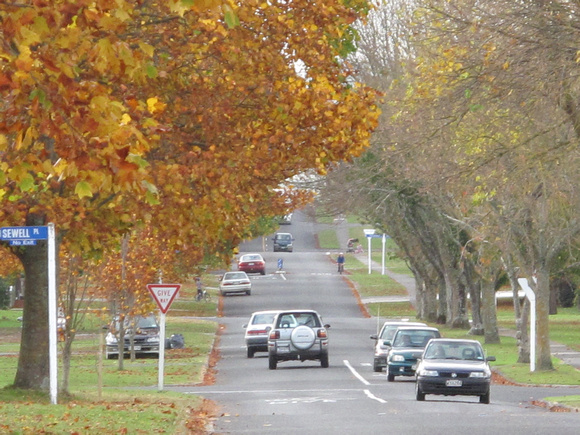 There are 38 trees on the Waipa Protected Tree List, most of them planted by William before his death in 1909. These trees include some beautiful old camellias and rhododendrons. More embed fun. Twee – I know. Main Street Carnival photos put through the slide.com wringer. My title. It fascinates; photographic fun similar yet different from Simon Høgsberg. Peter Funch website and CV [PDF]. Two galleries made over the past few days. 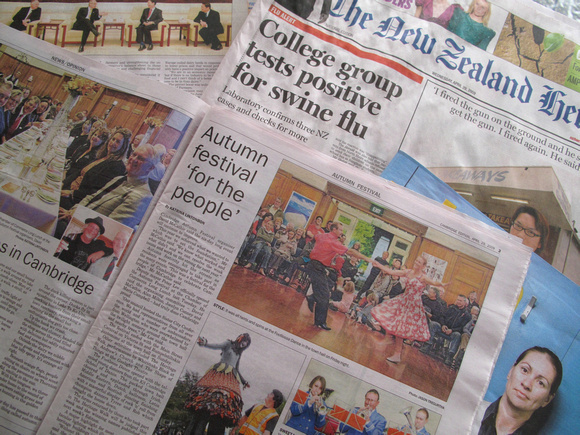 Cambridge Autumn Festival – slide show or thumbnails. Leamington CBD upgrade slide show or thumbnails. The later, which is rather pedantic, is being added to from time to time. A welcome return / addition to Victoria Street / Cambridge CBD – a small supermarket. 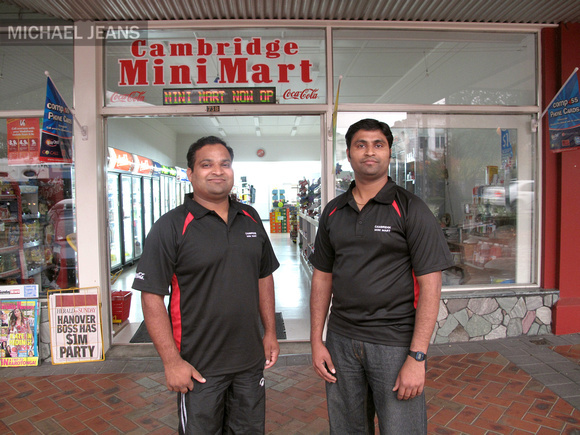 Brothers Ashok & Dinesh Patel have opened Cambridge Mini Mart at 73B Victoria Street. There is history here; Hayden Murray’s Four Square – and more. I will attempt to get the details straight and add them. 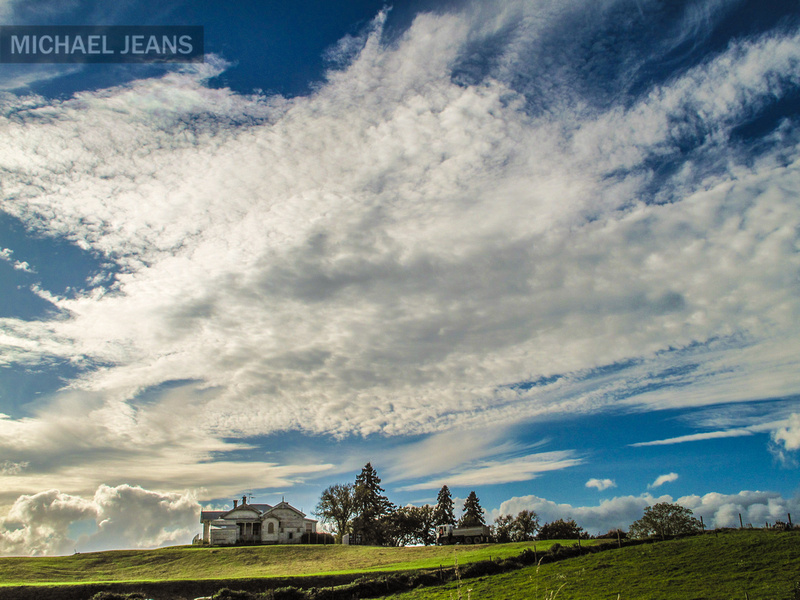 Ashok bought the Thornton Road diary in 2003 and Hautapu Country Store in 2005.